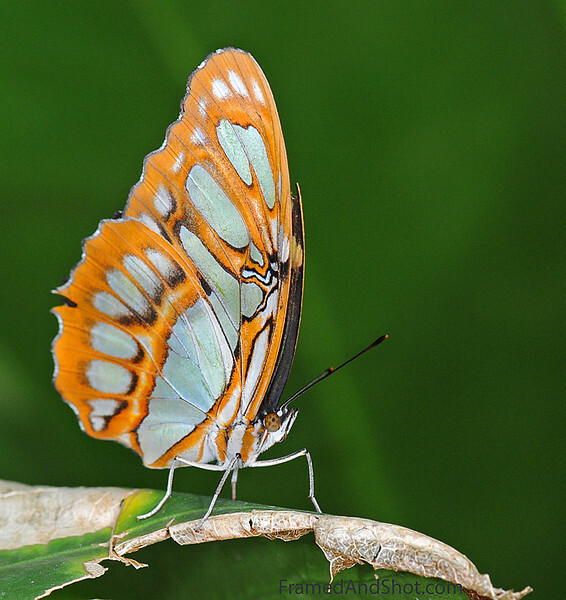 Malachite butterfly [Siproeta stelenes] is named after the mineral malachite, which is similar in color to the green on the butterfly's wings. The wingspread is typically between 8.5 and 10 cm. The malachite is found throughout Central and northern South America, where it is one of the most common butterfly species. Its distribution extends as far north as southern Texas and the tip of Florida. They have a rather fancy diet; Adults feed on flower nectar, rotting fruit, dead animals, and bat dung!